A Southern California native, Heidi joined Chapman University in 2016 as Career and Professional Development’s Internship Coordinator. In her role, Heidi works with many university and campus community constituents. She ensures students are obtaining an educational internship experience and facilitates and supervises internships for academic credit for all Chapman students. Heidi collaborates with faculty, legal affairs, registrar, global education, you name it! In addition, Heidi assists on the Employer Relations side helping organizations establish new internship programs and serves as a resource for any employer hoping to recruit Chapman interns. 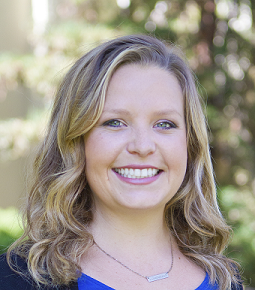 Before coming to Chapman, Heidi worked in health education and in performance consulting. Heidi earned her Bachelor’s in Psychology from California State University, San Marcos and her Master’s in Sport and Performance Psychology from Minnesota State, Mankato. Heidi is passionate about developing students to reach their full potential and helping them explore their prospective career paths through experiential education.